As an organization grows, day-to-day operations become more labor-intensive, especially in the hospitality industry. Restaurants, hotels, and others in the hospitality industry must often manage multiple locations, with invoices and payments filtering in and out on a daily basis. Coordinating all of that without error can be extremely challenging, even for a fully-staffed, competent organization. Thanks to cloud technology, accounts payable (AP) software is more affordable than ever. With a small investment to get setup and a monthly charge, hospitality businesses can put a solution in place that will help them store, track, and process incoming invoices and payments. There are several benefits of AP automation that are specific to hospitality-based businesses. Studies have shown that hospitality-based businesses that automate AP enjoy significant cost savings after implementation. Instead of hiring multiple employees to manually key incoming paperwork into the system, then update the information at each stage of the process, teams can enter data once and have the system track things at each step. Over time, this means businesses can gradually shift employees to other duties while also making it easier for them to scale operations to handle customer growth. Employees are often concerned that AP automation will put them out of work, but research has shown that doesn’t happen. Instead, employees find that they’re no longer forced to spend their workdays on mundane tasks, which instead frees them up for higher-level duties. Rather than push paperwork from one desk to the next, they can easily look up where an invoice is in its approval lifecycle and move on to other tasks. Management can hand over duties like pulling reports and following up on lost payments to AP team members. The result is that morale improves from management down, reducing turnover and increasing productivity. Without automation, teams tend to rely heavily on emails or face-to-face communication to update each other on the progress of various tasks. This can become especially complicated for hospitality businesses with multiple locations. AP automation allows businesses to create portals where all employees can log in and see the information that pertains to them. If an invoice comes into a hotel chain’s location in Florida, for instance, that location can easily route it to corporate for payment or approvals. When businesses rely on manual processes, customer service can become tricky. As employees key in information that has already been entered once or twice, then hand paperwork over to someone else to approve, it can be easy for numbers to be transposed or paperwork to be forgotten. This can easily result in a lost invoice or misplaced payment that can end up rubbing your customers the wrong way. Automation helps avoid those negative situations, establishing your business as one that is on top of its game. The hospitality industry faces ongoing demands to be as efficient as possible. 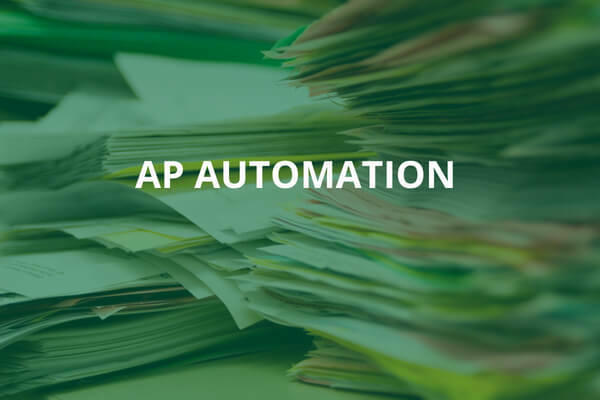 With AP automation, teams can eliminate duplicate processes and reduce errors. Not only does this ensure customers get great service, but it also keeps employee morale high and costs low, benefiting the business as a whole.